One of the drivers said he was being made to wear long sleeves to hide his tattoos. Another said he was made to take off his two earrings. Last updated at 5.30 p.m.
Arriva employees ended up using their cars to pick up stranded passengers at bus stops this afternoon as the launch of the new bus service suffered long delays. 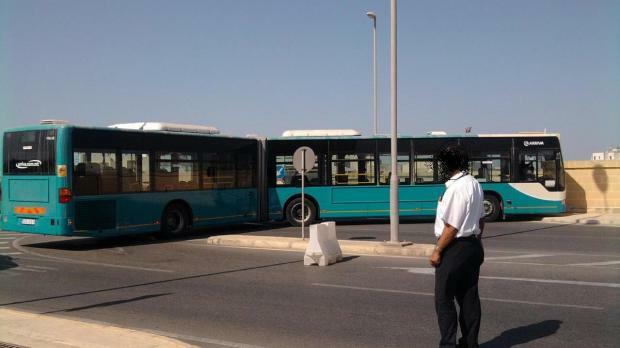 Passengers from across Malta complained that the buses were running late. Many said they had waited well over an hour. Some said they waited three hours and others simply gave up. In an effort to patch up its pride, the company waived the fare on the routes which were suffering particularly long delays and by the afternoon some employees went around the bus stops in cars, picking up passengers and taking them to their destination. Arriva said the problems stemmed from the fact that a number of drivers - about 30 - did not turn up for work this morning. There were also technical difficulties in some ticketing machines on buses and at the Valletta terminus. Destination signs were also not functioning at the Valletta bus terminus embarkation bays. The difficulties rippled into other areas. A trip to Sliema, for example, was performed by a bus which had the route one sticker on its side - the service to the harbour towns and Xghajra. Passengers reported they were satisfied with the quality of the buses,particularly the cleanliness and the politeness of the drivers. But there were many complaints about the buses running late. At Valletta, some people said they had no idea when their buses would arrive. Some said they had been waiting for over an hour, under the blazing sun since the shelters have not been built yet. Bus inspectors were trying to be of help, but they also appeared to be at a loss. The situation was mirrored across much of the network. Arriva officials went round the bus stops during the day, advising passenger when the buses were due or which services to board. A driver in Valletta, who did not wish to be identified, said not enough time had been allowed to train staff and inform passengers. Another driver said the bus he was to take over from another driver in Valletta had not showed up. Other bus drivers admitted that they did not know the routes because they were not given enough time to practice. But it is not just the routes which were new for the drivers. One of them said he was made to wear long sleeves to hide his tattoos. Another said he was made to take off his two earrings. 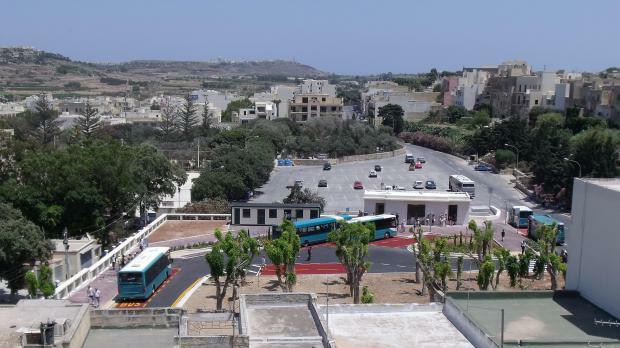 Today was also a red letter day for Gozo, which, for the first time in its history, had a proper bus service. A passenger said the service was running smoothly and effectively. "I think it is an excellent start," he said. The aquamarine-coloured buses rolled out from the various termini in Malta shortly after 5.15 a.m., with the first ones heading for Mater Dei Hospital. At the Arriva offices in Blata l-Bajda, however, some 20 drivers were continuing to protest and refusing to work, arguing that their roster was unfair and should be changed immediately. They are complaining over split shifts and longer than expected working hours. The company said yesterday that the current rosters are temporary and had been agreed with the GWU. It promised to change them this month. In the early morning a much bigger number of people than is normal for Sunday gathered at bus stops to be among the first to use the new buses. timesofmalta.com reporter Kristina Chetcuti arrived on a bus stop in Paola at 6.20 a.m. and found a crowd. "There was a sizeable crowd of people - some 25 - waiting on the bus stop for various destinations. The digital information board indicated the destinations and schedules. Some of the commuters were consulting their Arriva maps. "The main problem was the Mater Dei bus which was running more than 20 minutes late," she said. A helpful Arriva assistant was asking people where they wished to go and guiding them to the appropriate bus stop. Some people bought their tickets from the ticketing machine. A woman arrived just late for her bus to the airport (which was on time). The bus driver had closed the door and was about to drive off. The woman pleaded with the assistant to get the driver to open the door for her, but the bus kept on going and the assistant explained politely to the woman that once the door was closed they were under orders not to reopen them. (some people groaned and grumbled in the background!). With the Mater Dei bus still not showing up, the assistant phoned his manager to enquire about the situation, and was told to ask the waiting people to be patient, because of some teething problems. The bus to Valletta (91) rolled in, also late, according to the published timetable. It was full, with people standing in the aisle. The driver was in full uniform and very courteous. He asked her whether she wanted a day ticket or a single trip ticket. The bus was fully air-conditioned. An elderly man got confused, paying for a one way ticket and then saying he wanted a day ticket. The driver, patiently, explained the difference. He also pointed out, however, that the time he was losing to explain the ticketing system was affecting his schedule. Speaking in a rather loud, but polite voice, he asked commuters to please consult the Arriva literature they had received at home. The topic of discussion on the bus was, as expected, the bus service itself, with some saying that the details on the pamphlets they had received were not clear enough for them. The passengers seemed to appreciate the audio system on the bus, telling them (in English, but passengers on other routes said announcements were in Maltese as well) the name of the bus stop when they arrived, and the next stop. 'Bhal ta-barra!' one of the passengers exclaimed. On arrival, passengers were disembarked near the Christ the King Monument, just outside Valletta, which is the new drop-off point for all passengers. Something which struck her, Ms Chetcuti said, was that as they disembarked, all the passengers thanked the driver. "I never came across that before," she said. She then headed for the new bus terminus to take the journey back and found that the two ticketing machines were not working. An assistant asked her to buy the ticket from the bus driver. In a statement, the GWU welcomed the fact that the absolute majority of the drivers had turned up for work. It said the problems encountered on the bus service today were not the fault of the workers, and it welcomed the fact that passengers were appreciative of the efforts which the drivers were making. The union urged passengers to cooperate with the staff and promised that it will negotiate a better roster for the workers by July 17. It said that talks were also held with the company yesterday to smooth out some problems.